This theatre is the cutest theatre to see a movie. It was built in 1938 in Art Deco design. They have a decent food menu and serve beer and wine. The whole theatre cheers when the movie starts and everyone stands up and claps when it’s over. It is a fun atmosphere to experience and there isn’t a bad seat in the entire place. It’s a great place for date nights, and family date nights. 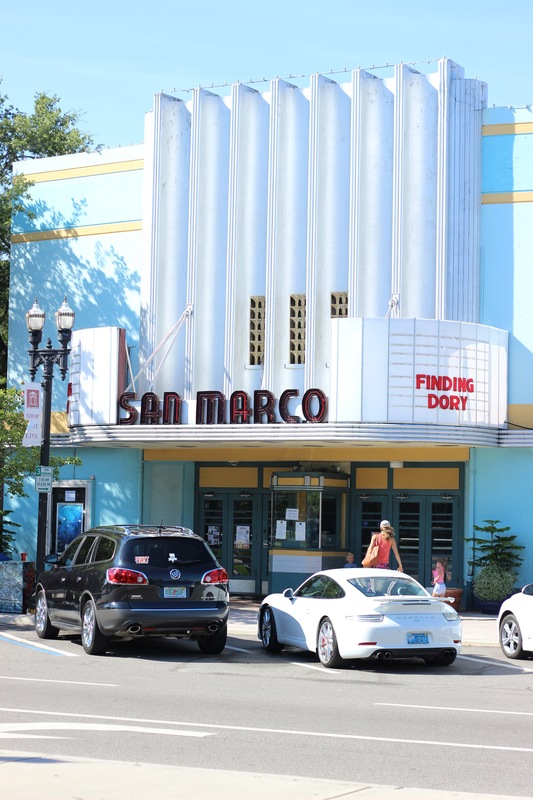 If you live in the area and have not seen at movie at San Marco Theatre, I highly recommend it. Finding Dory did not disappoint. Our family has been in a heated debate over whether or not it was better than Finding Nemo and so far Finding Dory is winning. There are so many new characters, with great actors as their voices, and they all were hilarious in their own way. Our oldest loved every minute of it. This is a must see, even if you don’t have kids (there were plenty of adults enjoying themselves sans littles the night we were there – another reason to go to a theatre that serves beer and wine). 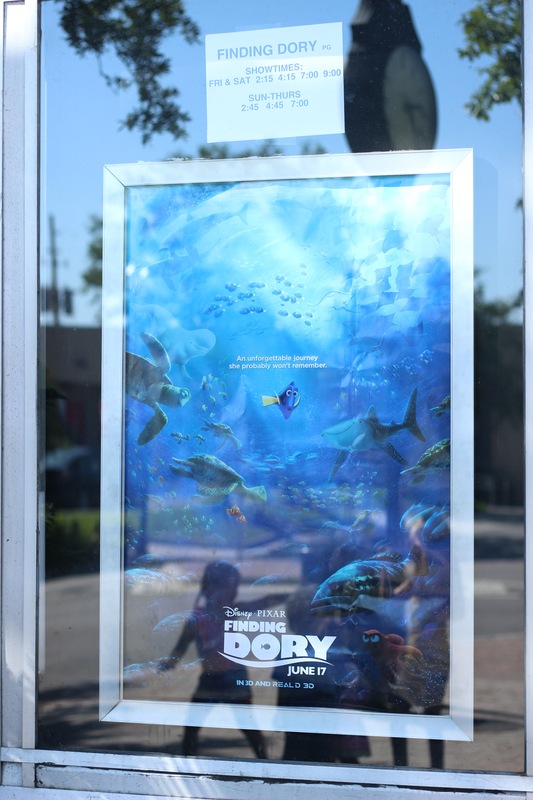 Co’s family went to this Theatre for a Father’s Day family date over the weekend as well. They enjoyed it just as much. After we both took our families here over the weekend, C came up with a few ideas for beating the heat with your kids over the summer. You could take them to a fun, historic theatre like San Marco to see a movie or she mentioned finding dollar theatre’s in your area. 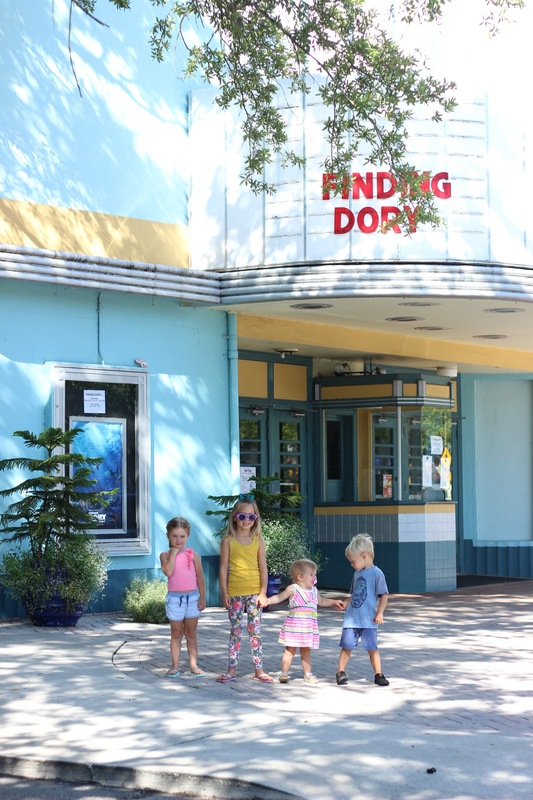 They usually play movies that have been out for a while, but if your leery about your kids sitting through a movie, these are usually not as crowded and early in the day (and you can go multiple times since they are usually only $1, easy on the budget). Big sister enjoyed herself and was happy to have mom and dad to herself for a few hours. When we got back in the car to head home, she said she wished little sister was there (which made so happy she was thinking of her and also that distance does make the heart grow fonder!). It is difficult to find the time to regularly plan it, but going forward I will be setting special “date nights” to do with each of them alone. 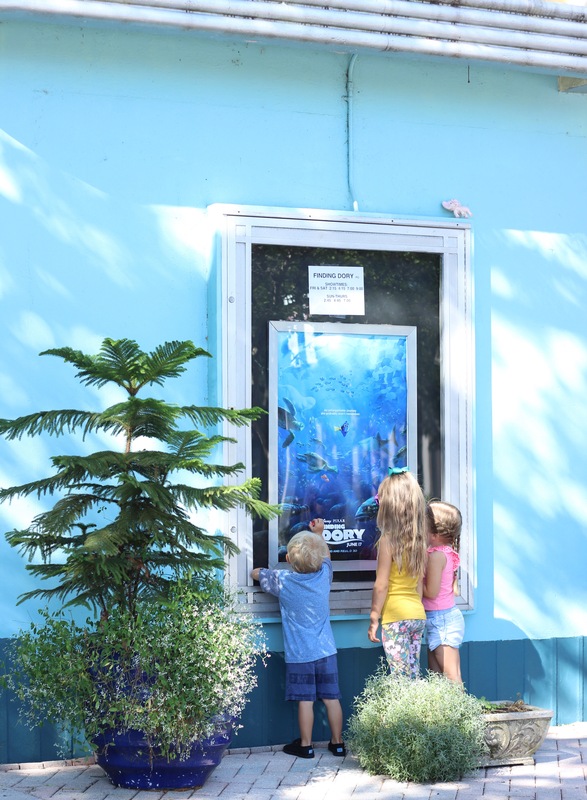 The Finding Dory Date night confirmed how important it is to each of them to have their own special time with mom and dad.